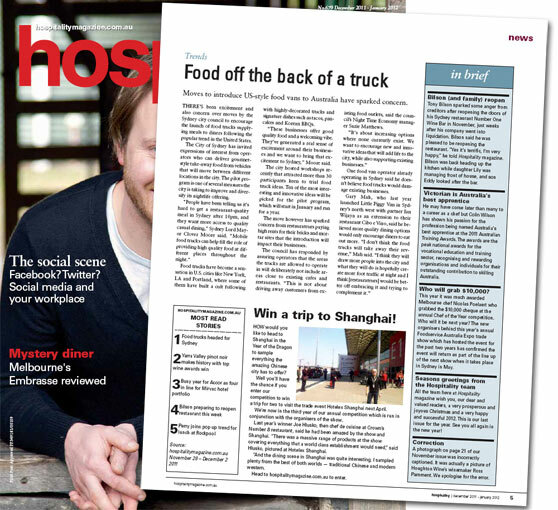 What do you do when you’re tired of waiting for the food truck trend to hit Sydney? You bring it here yourself! 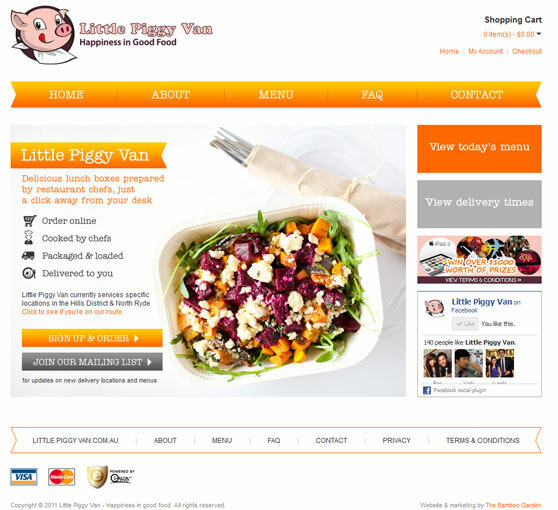 But the owners behind Little Piggy Van were smarter than to just replicate the concept here. 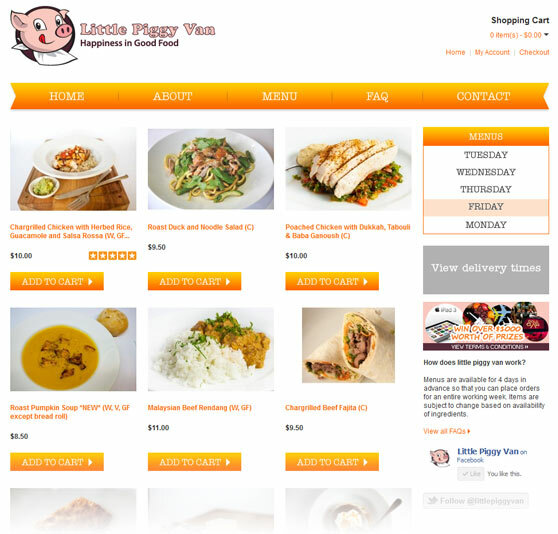 Unlike the US food trucks which predominantly rely on customers to buy food direct from the truck, Little Piggy Van tackles the problem of inconsistent and unpredictable cashflow, by encouraging customers to pre-order. 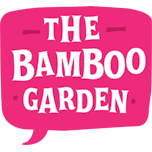 Sometime last year, The Bamboo Garden begun working closely with Little Piggy Van to develop an e-commerce website which would be the back engine of this new business model. 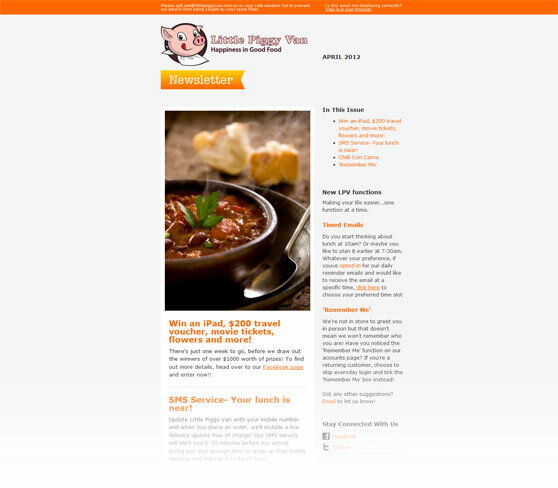 In addition to the very clever e-commerce website, we’ve also been involved with the food styling and photography of their dishes, we’ve developed many customer email templates, designed their Facebook landing pages, and generated them some fantastic press mentions in publications such as the Hospitality Magazine and Hills Shire Times. 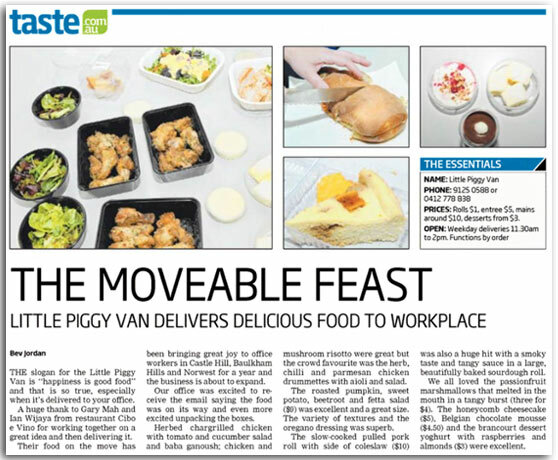 Little Piggy Van is a mobile lunch delivery service that provides delicious lunch boxes to workplaces around Sydney (currently services the Hills District and Macquarie Park areas). Their sumptuous meals are all prepared by restaurant chefs and are just a click away from your desk!